On Thursday 28th July, the Anti Raids Network received and shared a verified alert that immigration officers were carrying out an operation on Deptford High Street. Locals report that officers entered businesses but informed shopkeepers that they did not intend to arrest anyone, merely to ‘provide information about their legal responsibilities’. 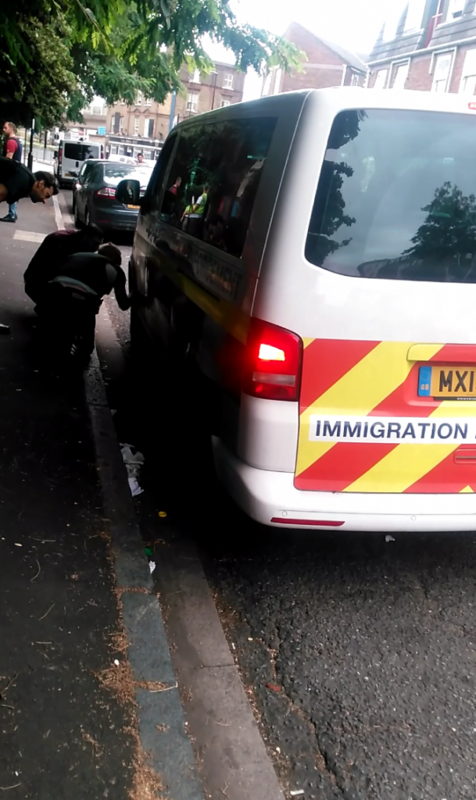 A van marked ‘Immigration Enforcement’ was parked down a side street. As is often the case, there was no sign of any immigration officers in or near the van. Two people stopped to look at the sight of the ‘racist van’ that had returned yet again to the neighbourhood, before walking on. 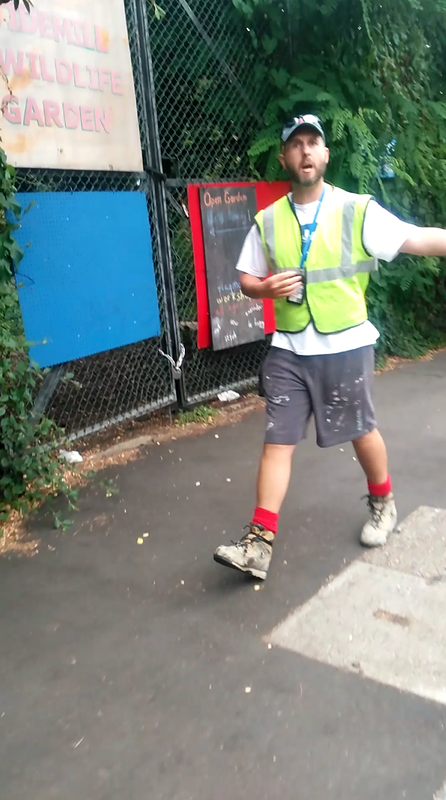 Seconds later, half a dozen cops dressed as builders – high viz jackets, muddy Timberland boots, paint-spattered clothes, pencil behind the ear – jumped the pair, shouting that they were under arrest for supposedly damaging or tampering with the van. One of the undercover officers had been standing in the street and the others had obviously been hiding behind the wall. There is no evidence of any damage to the van, nor were the people arrested in possession of anything that could cause damage to the vehicle. In fact, video footage clearly shows the van undamaged and being driven off by an officer after the arrests, and many witnesses are recorded as stating that there was simply nothing wrong with it. The arrestees were taken to Lewisham police station and released on bail without charge 10 hours later. So it’s not just Byron’s Burgers and other big employers that are plotting sting operations with Immigration Enforcement. It is clear that this one was motivated by the desire to stem effective grassroots resistance to the raids, and actions against their arrest vans in particular. 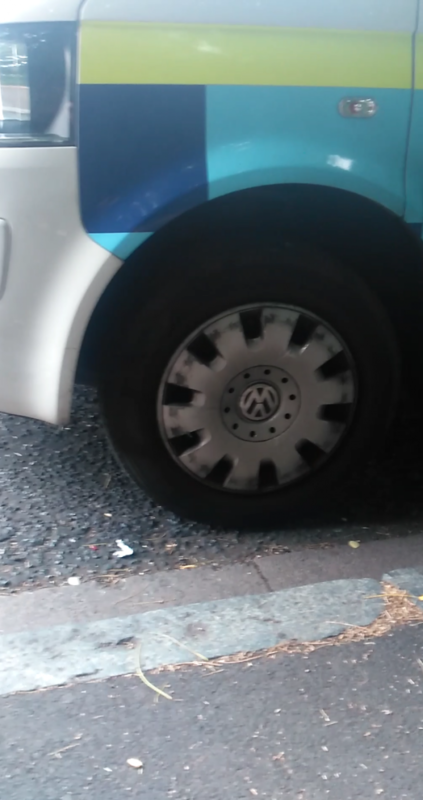 They had no doubt left the ‘bait van’ down a quiet Deptford street in a bid to induce people to attack it in a similar way as the previous month. Shops that had already been the target of their harassment were visited purely as a ruse to attract attention to their presence. They were presumably hoping to find both a damaged van and people in possession of items that could have been used to do this, however, they found neither. Immigration Enforcement are clearly getting rattled. No doubt dissatisfied that they did not catch people ‘red handed’ on Thursday, it is important to note that they may well try this tactic again. 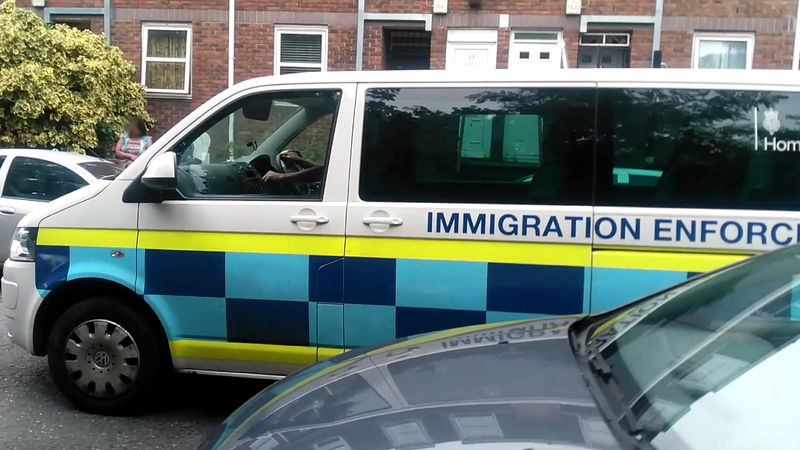 If you see an immigration van left alone in a street, have a careful look around: is there anyone loitering nearby, or perhaps pretending to get on with some building work? Having said this, they do frequently leave their vans unattended, so it is more likely than not to be one of the numerous real immigration raids that happen on a daily basis. Far from deterring us from resisting these raids, this operation is proof of the effectiveness of that resistance: let’s keep it up!